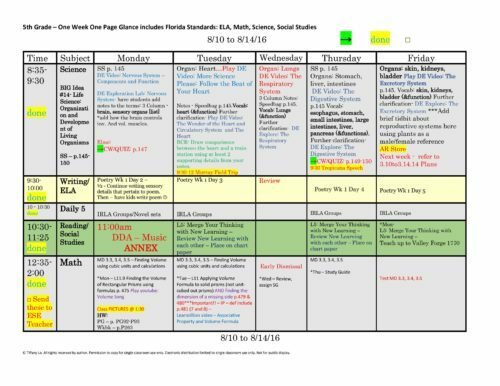 View cart “5th Fifth Grade Florida Standards Weekly Lesson Plan Template: 1 Week 1 Glance” has been added to your cart. Be ready for the 2018-2019 school year! *Note: In order to protect the original work, only a few pages of this template are displayed in the gallery. • Green boxed arrow: This symbol points to what I would need to make copies for. 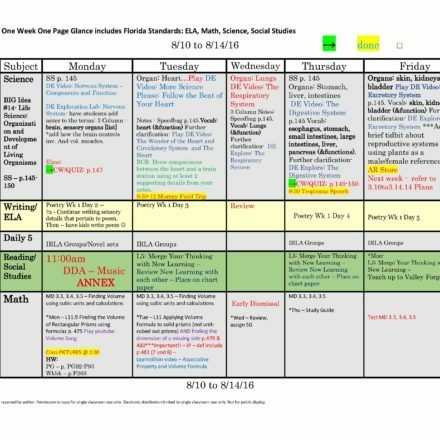 • Yellow highlighted “done”: This signifies when I have completely finished planning and updating that particular subject. • Little box outline “□”: This symbol is placed next to items that have to be completed. This lesson plan template allows teachers to look at their lesson plans for the week on 1 page. 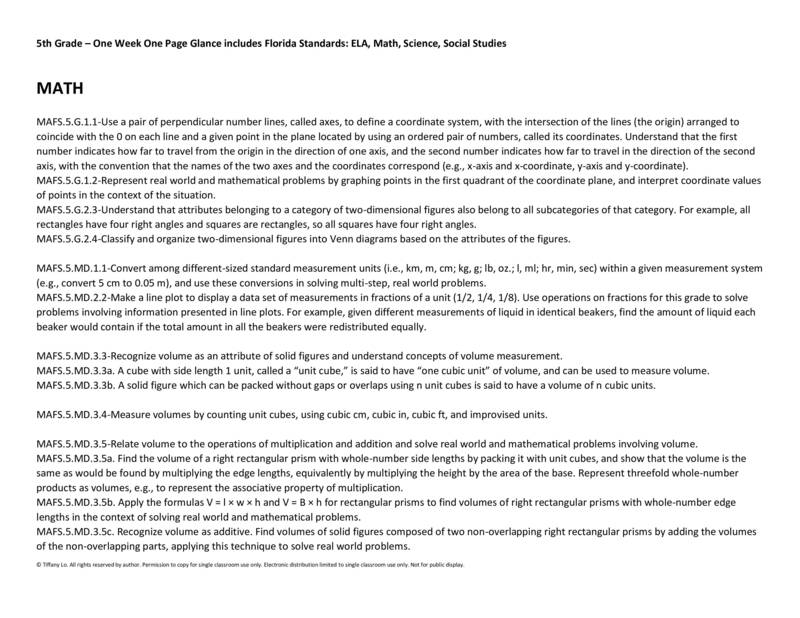 It is in MS Word format to allow for easier editing and the entire template is editable. The first page includes the template. I left my actual text in the boxes in order for you to see how I use it. It can be edited to fit your preferences. You can easily color code, bold type, change margins by dragging, change the font, etc in order to make it yours and suit your tastes. 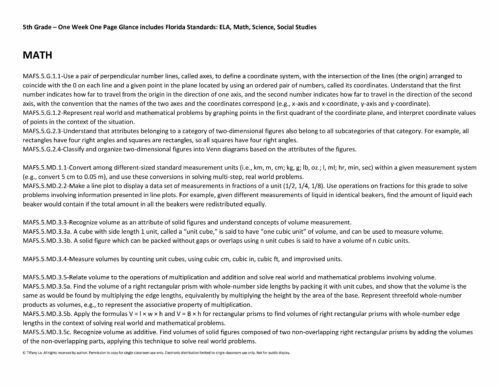 Following the first template page, you will find the Florida Standards Lists for ELA, Math, Science, and Social Studies. I added these so that teachers may use them as quick reference points while using your 1 page template. You can copy a standard from the list and paste it into your template in whichever font size or style you wish. I was going to create drop down lists in boxes for the standards in the template itself, but found that the boxes took up too much valuable space. Copying and pasting saves much more space to maintain a one-week, one-page glance format. This took several hours to construct and form the template and then another 5+ hours to format the standards into a useable and editable form. I hope you enjoy its ease of use and time-saving capabilities as a finished product as much as I do. Make sure to purchase this original to ensure you have all of its features. Make sure to purchase this original to ensure you have all of its features. P.s. 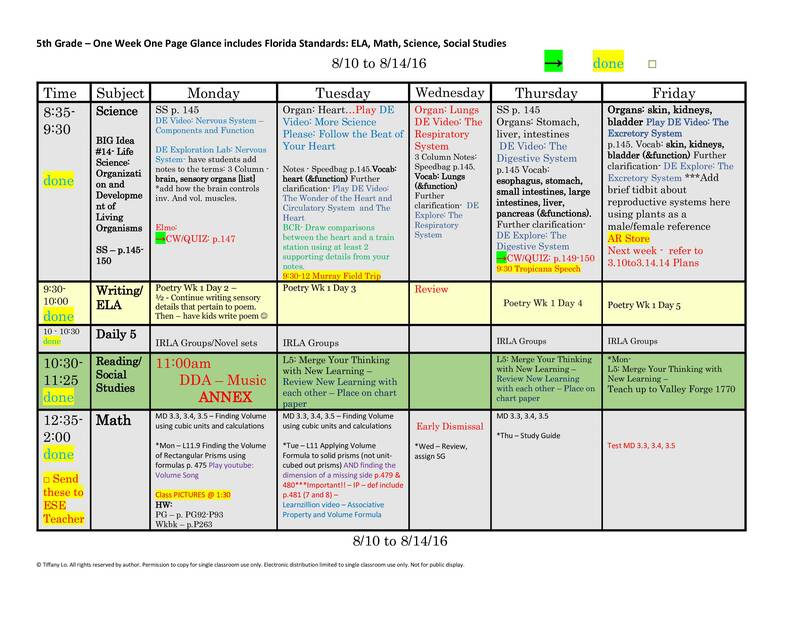 I created another weekly lesson template with drop down lists in Excel Spreadsheet format (.xlsx) These templates can be used independently of each other or to complement each other. Both are fully editable so you can customize either to your preferences. Please contact me with any questions regarding this template by filling out the form below. 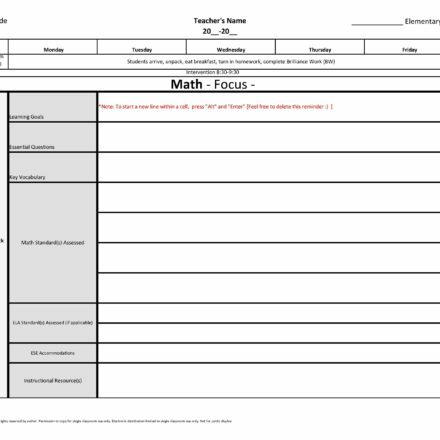 © Tutor and Teacher Templates. All rights reserved.